To all the soon-to-be-Moms out there, you might want to grab this chance to own a free starter kit from EQ. 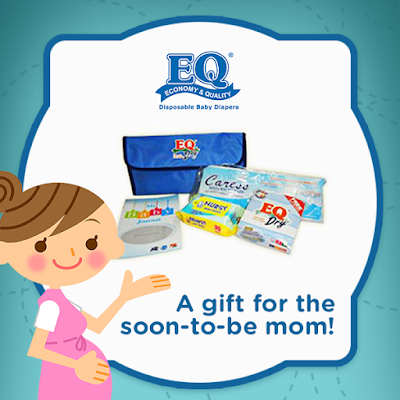 Kit includes EQ Dry, Nursy wipes, Caress maternity pads, baby journal and a baby bag. Please make sure to fill up the registration properly. Kits will be delivered to the address that you provided in the registration.